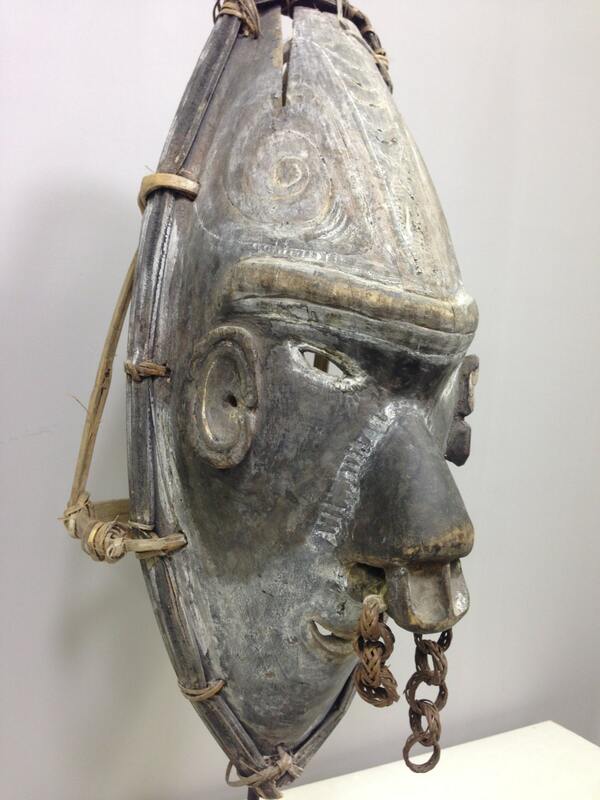 This is an old fabulous Schouten Island Vokeo Islands Dance Mask. 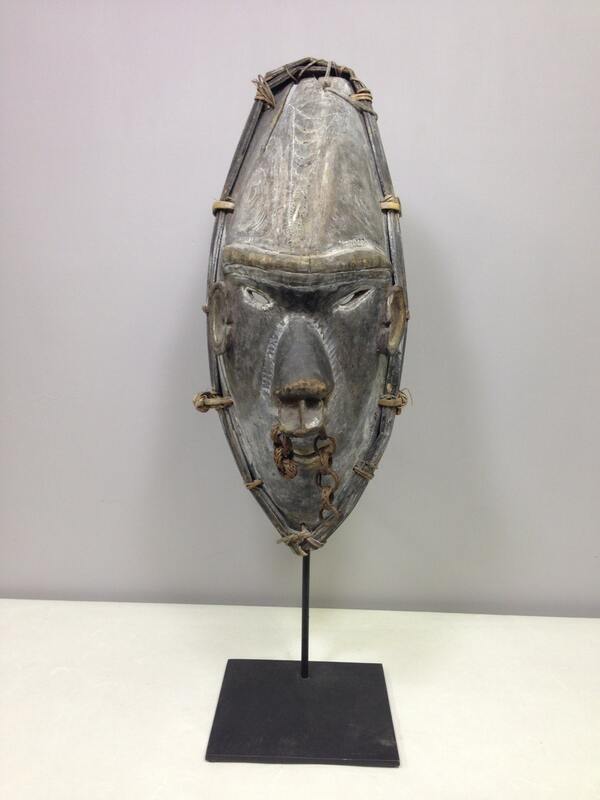 This mask is known as Lewa, which represent the ancestor Tangbwal has a more angular face then most making its nose more prominent. 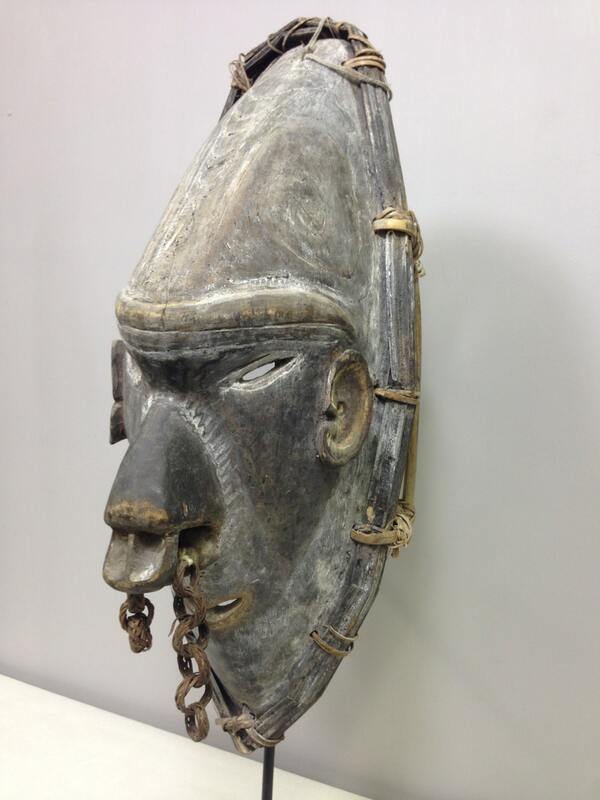 This is carved from hard wood, in classic exaggerated form with a large nose bearing a woven chain nose piece. 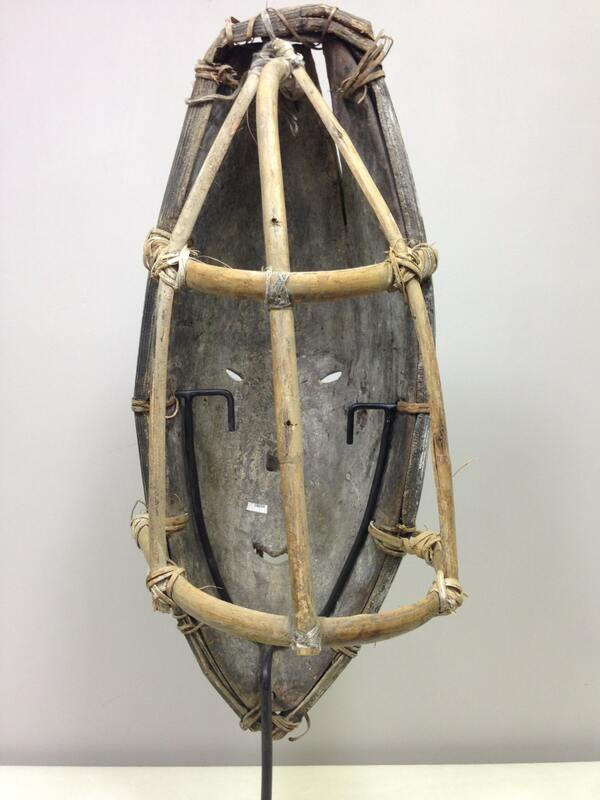 The outside of the mask is surrounded by woven cane. Traces of white paint residue is still visible on the mask. 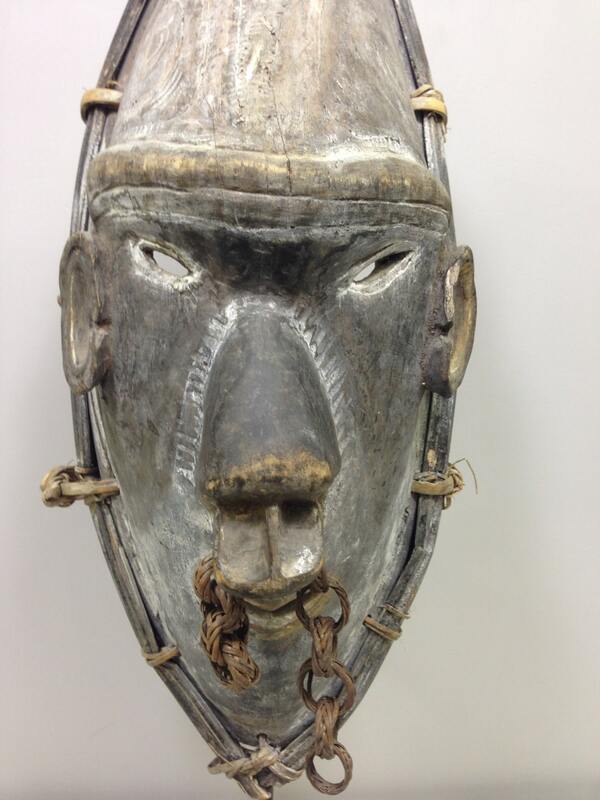 This mask is very unusual due to the caning on the mask making it a helmet mask. This Dance Mask is to evoke the power of certain spirits, ritualistic dances complete with costumes and songs are performed with these masks. Such ceremonies are undertaken to ensure successful hunting and war parties, to bring bountiful harvests and for many other reasons. This is a rare and unique one of a kind mask and would be a wonderful addition to your collection. Shows age, has a crack in the forehead, but overall in good condition.